Detail of chrysotile asbestos fiber bundles protruding from bottom of vintage, asbestos stove mat. The "pizza" baking stove mat measures 12" x 17" and also contains a printed metal top-surface with pizza recipe. 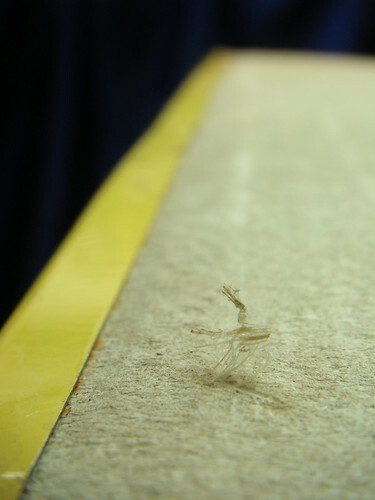 The asbestos mat is a dense cardboard-like material with visible chrysotile bundles mixed throughout its surface. A "Masonware" product of Providence, Rhode Island.